Currently there is no Mercedes-AMG E63 Sedan or Wagon, and not one Jalop noticed it! 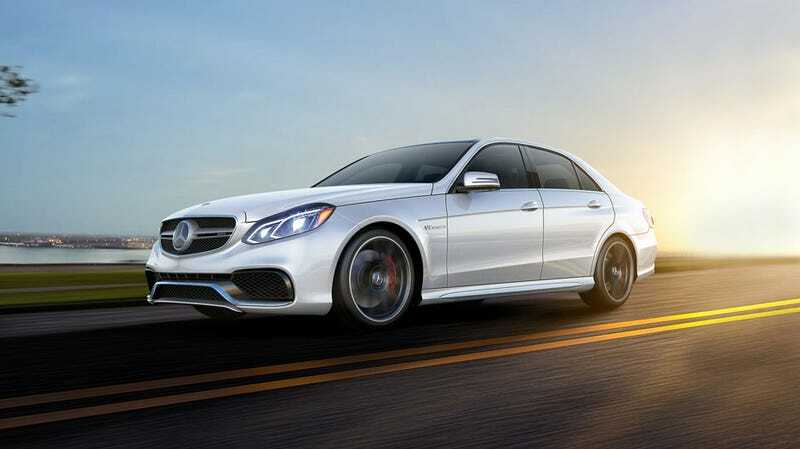 What we do have for the 2016 model year is the Mercedes-AMG E63 S Sedan and Wagon. That’s right, the 577hp, 5.5l biturbo V8 is a class above what would be a plebeian “63" model. So when Mercedes-AMG rolls out the 2017 E63, don’t freak out when you find out it has gone from a 550hp, 5.5L to a 503hp, 4.0L. The old “63" was bumped up into a “63S” and the new “63" will be what 2014-Mercedes would have called a “55” model. So yes, the S models are the real AMG cars now. For a bonus reminder, everything I pointed out also applies to the CLS-Class and GLE Coupe. The proper GLE SUV still has a 63 variant because MB forgot to discontinue it!